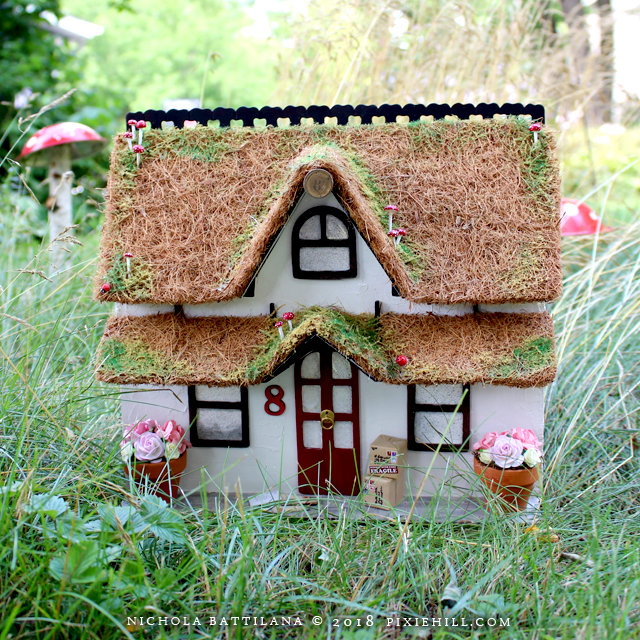 It's that time of year where a little cottage appears in the studio. 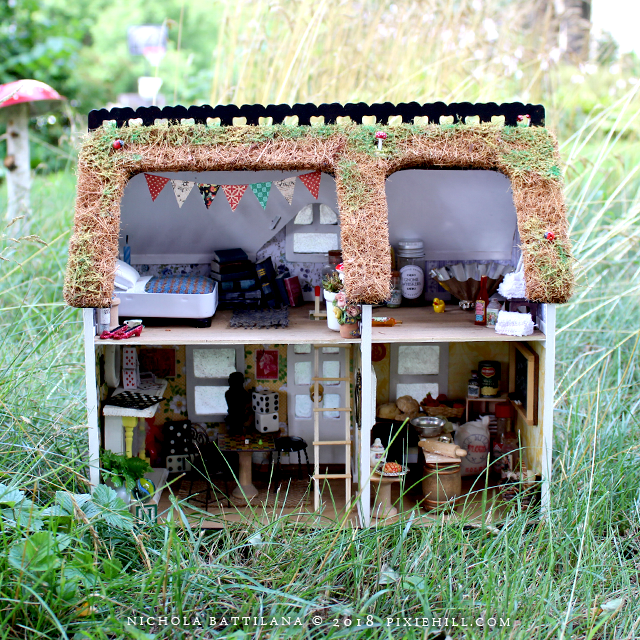 This wee abode has been made with a wood kit base which has been slightly modified. 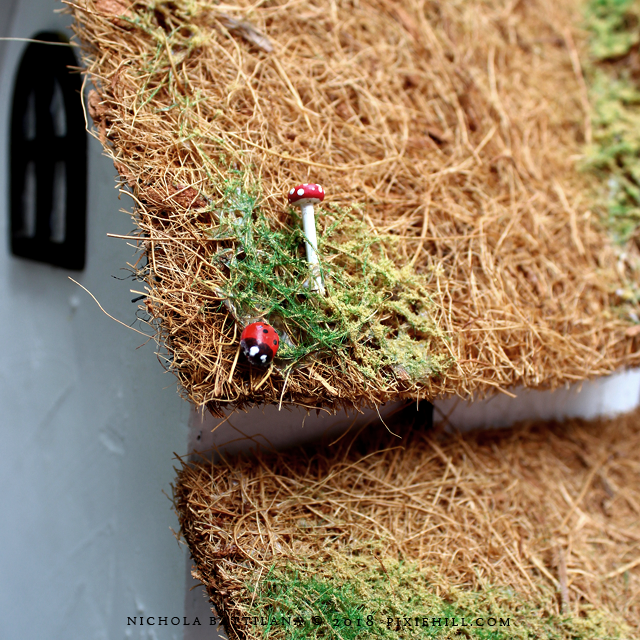 Outside has a mossy thatched roof dotted with handmade toadstools and ladybugs. 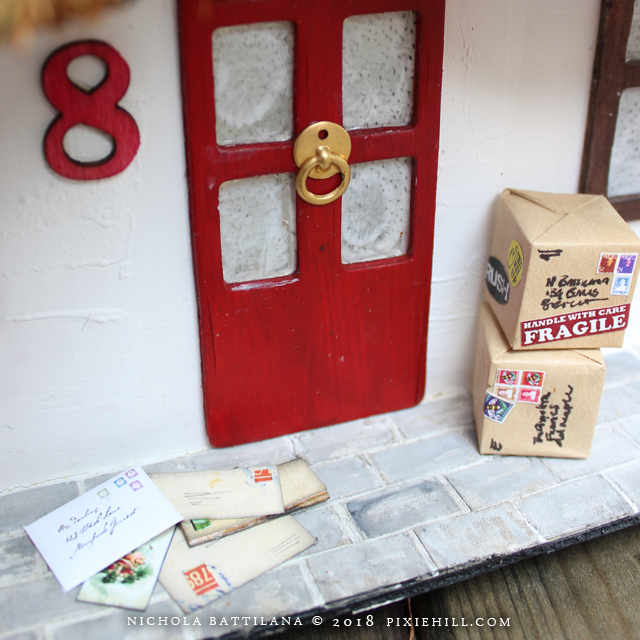 There's a mail waiting on the cobblestone porch and a pair of planters filled with paper flowers. Inside, a gamesroom, kitchen, bedroom and washroom. 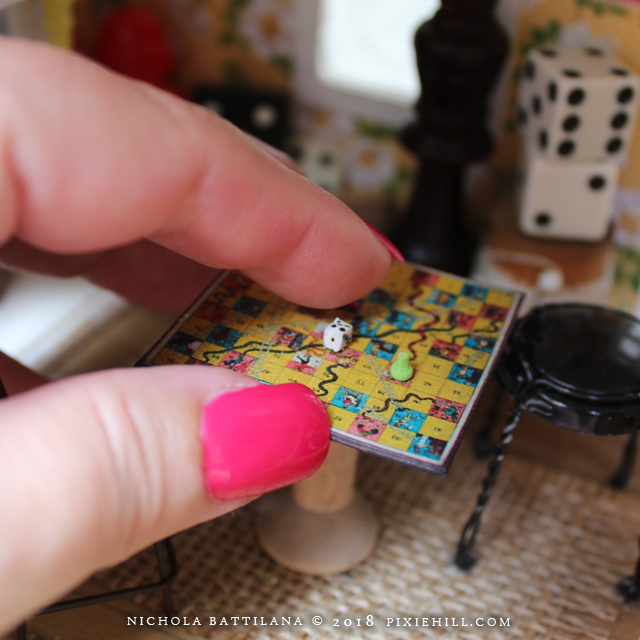 The games room has miniature checkers, snakes and ladders, full size game pieces from marbles, to dice, to chess pieces and tiny playing cards. And those things are soooo TINY!!!! Above the fireplace is a picture of Milton Bradley. 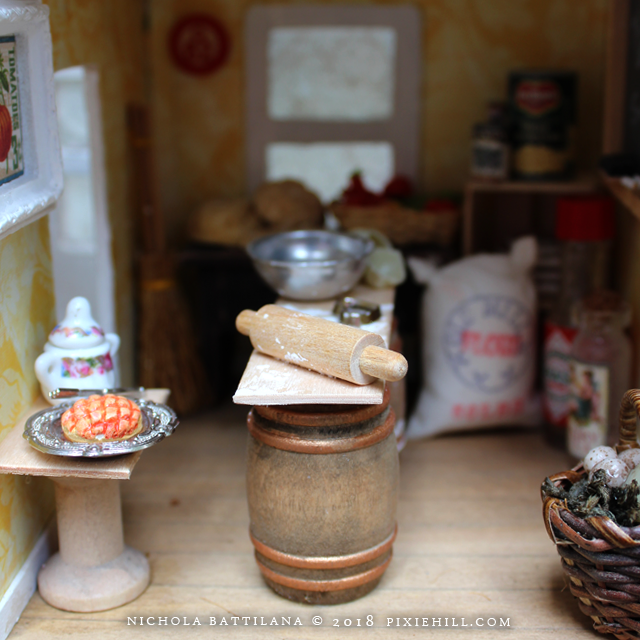 The kitchen is chocked full of little food items. 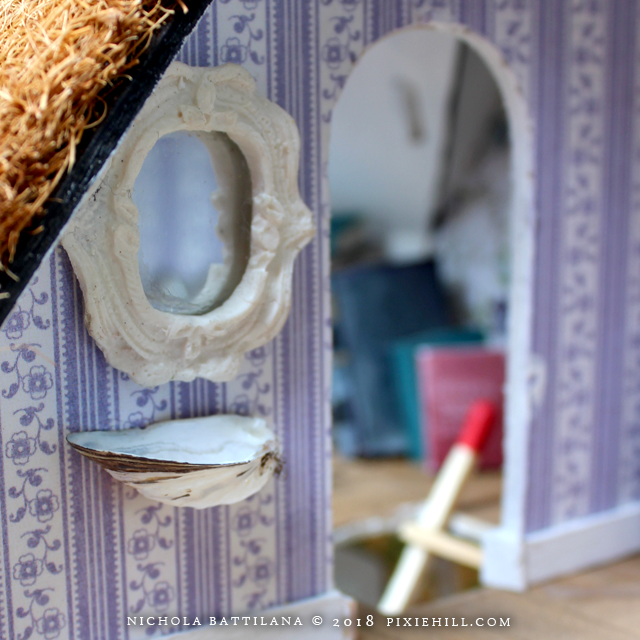 An island in the middle of the room has a flour covered top with tiny rolling pin and mixing bowl. 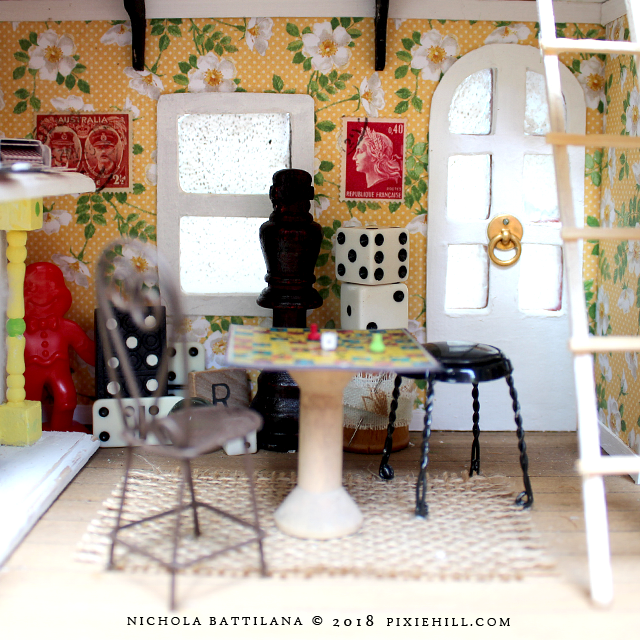 A matchstick ladder scales up to the second floor, leading to a cozy bedroom. 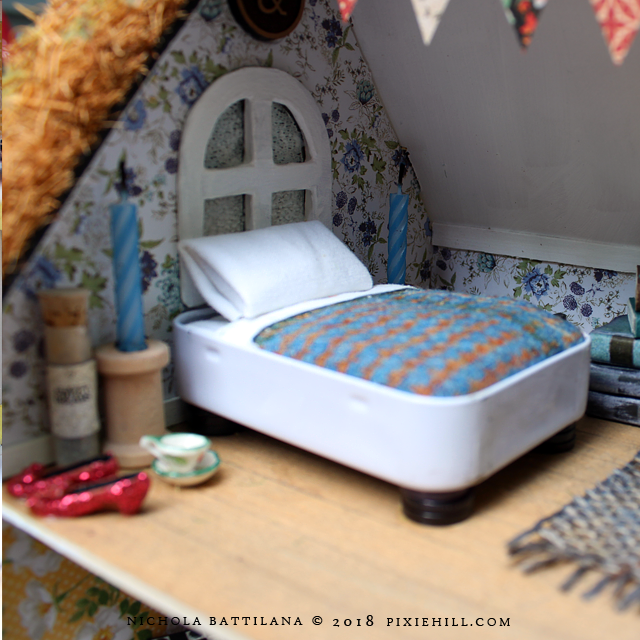 There, a tin bed, bunting, books, tiny ruby slippers, and birthday candle lighting. 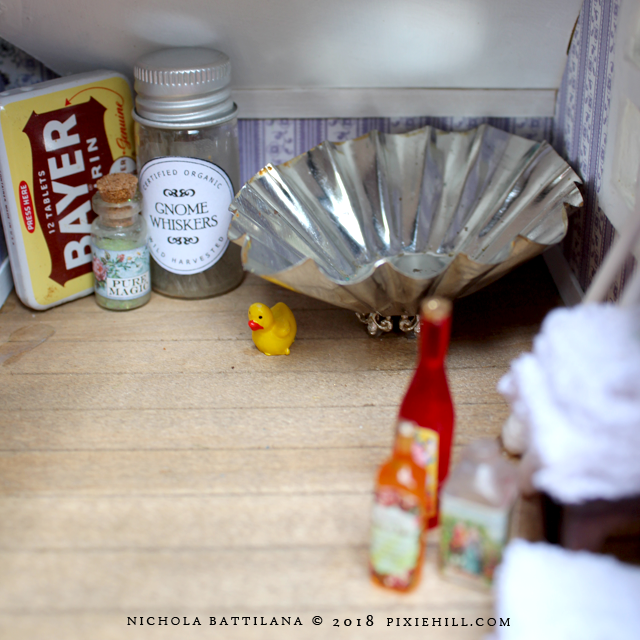 Next door, the washroom has a tart tin tub, sea shell sink, itty bitty rubber duck and vintage pill tin. There is no toilet. I think this occupant prefers to wee out in the wilderness. I mean, who wants to clean a toilet anyway? 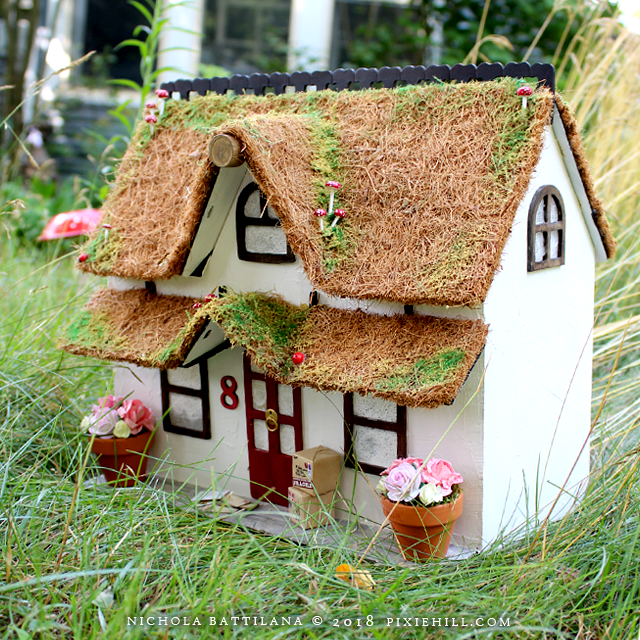 The cottage is available HERE. 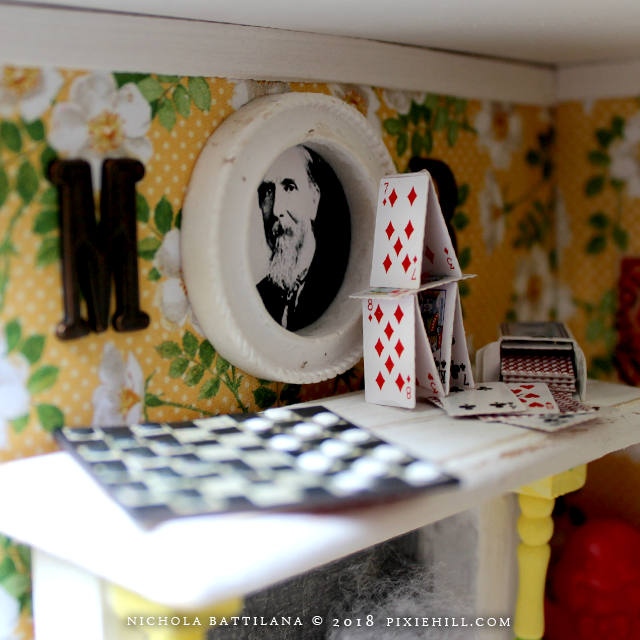 This piece was created for an event and has imperfections (i.e. there are connective areas that are not completely camouflaged) and the price is reflective of that. very nice tiny craft !